LAS VEGAS DAZE: Bally Technologies Studio! Thank you to the staff of Bally Technologies for hosting our group from the Slot Fanatics Forum at their studio on April 3rd and to Rob ( Nyphinix13: SLOT-a-holic's Channel on youtube) for organizing. Our group arrives at Bally Technologies and signs in at the desk. Those of us who didn't get a chance to tour Bally last year were given the opportunity to take a tour of the area where they make the slots and those of us who had already toured that area or just wanted to play the new slots could stay in the main showroom to play. Random photos of the studio. Below is Skyler, Slotnut and Mike (20cardmg). Dan (Dproxima), his cousin Michelle and Mike. Photo of Rob (Nyphinix13) who organized our outing with Bally Technologies and Aristocrat. Irisheyes (Margie) and her daughter Colleen. 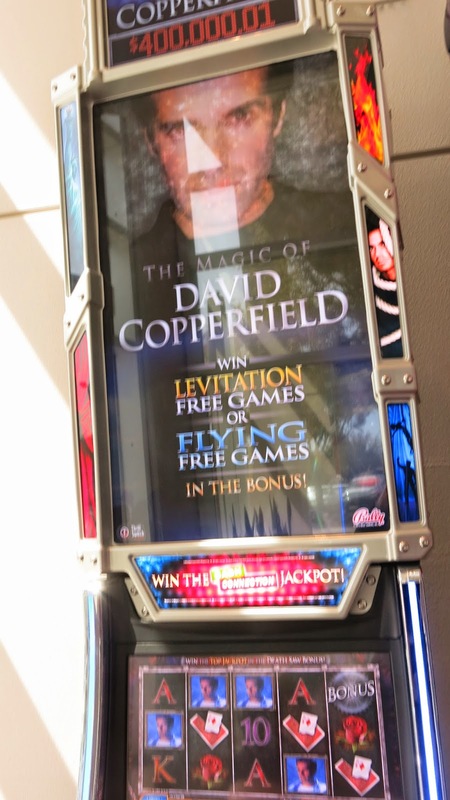 I also recorded a demo of the new Grease Pink Ladies slot but later in the trip I found this at Wynn and played it for real with my friend Liz, so here's a video of how it went for me spending real money on Grease Pink Ladies! 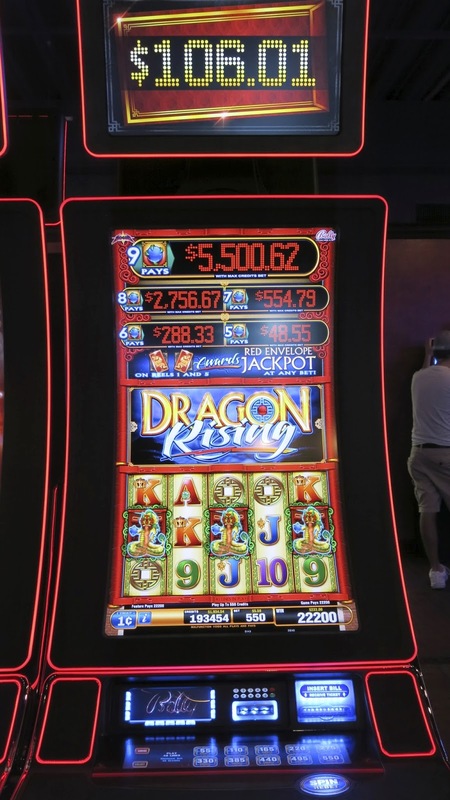 Dragon Rising is now out at some casinos. I haven't played it for real money yet but here's the demo I played at Bally Technologies. After we had fun playing both the current and soon to be released slots we all entered the Bally Technologies board room for a question/answer meet and greet! I really appreciated the fact that Bally had about seven of their staff on hand to answer our numerous questions. After they satisfied our curiosity they had some questions for us that we were happy to give our opinions on. The whole visit was a great experience. Bally Technologies went out of their way to make sure all of us really enjoyed our visit. Personally I had so much fun I would like to do this again! 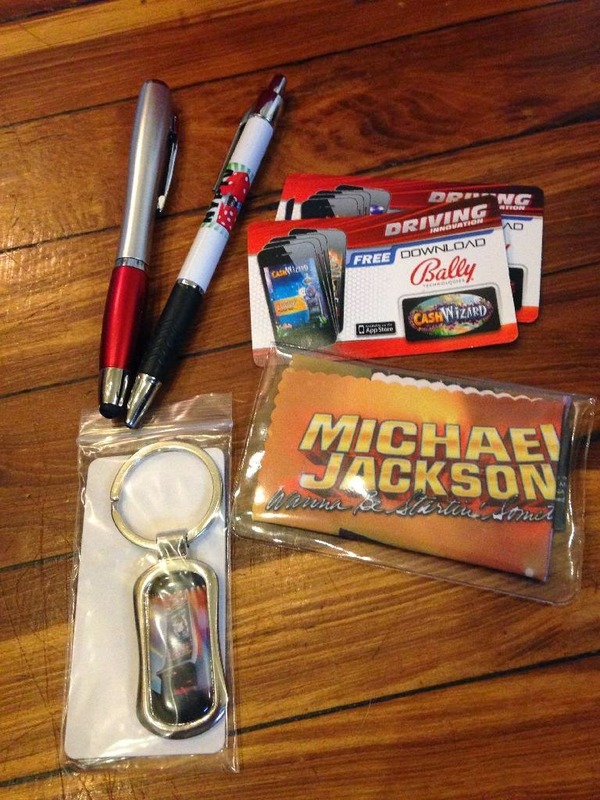 As we departed from Bally we were all given a tote bag which included the free gifts below. After our fun time at Bally Technologies it was time to head out to Aristocrat Studios! How would one go about setting up one of these tours? As far as I know Rob contacted someone at Bally Technologies to arrange the tour but I'm not sure who. I suppose if you have a large group of slot players that want to take the tour they might arrange one for your group.